Ai Wei Wei is a Chinese contemporary artist, active in sculpture, installation, architecture, curating, photography, film, and social, political and cultural criticism. 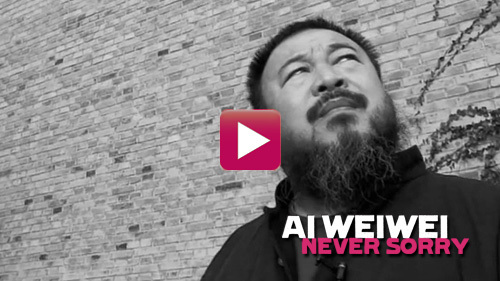 His use of art to create social change will be explored as an example of art as activism. Throughout our unit we planned to incorporate activities leading towards a culminating project that would utilize art as a vehicle for activism. This culminating project would be an exhibition of drawings, paintings, photography, objects and writings that would serve as a platform for the expression of students views about their educational system, their community and their world as they see it. The objective is to have students become agents of change and believe in their ability to make a positive impact in their own lives and in their community. The end result would be an event/ student exhibition where students' friends, family, teachers and the community at large would be invited to see paintings, drawings, art installations and objects created by students as well as poetry readings and music during the opening night . 1. Statement - identifying problems within the community you live in. 2. Research the historical reasons behind these issues. 4. How has deculturalization affected your community? 5. Research historical resistance to deculturalization - e.g slave rebellions, Black Panthers, Civil Rights Movement. 6. As a student what is your plan of action to address the process of deculturalization? 7- Art workshops in painting, drawing, sculpture and installation art. 1. Resistance through protest art. Using visual imagery to highlight social injustice and how it can be overcome. 2. Use stories, interviews or poetry to highlight injustice and how to address it.